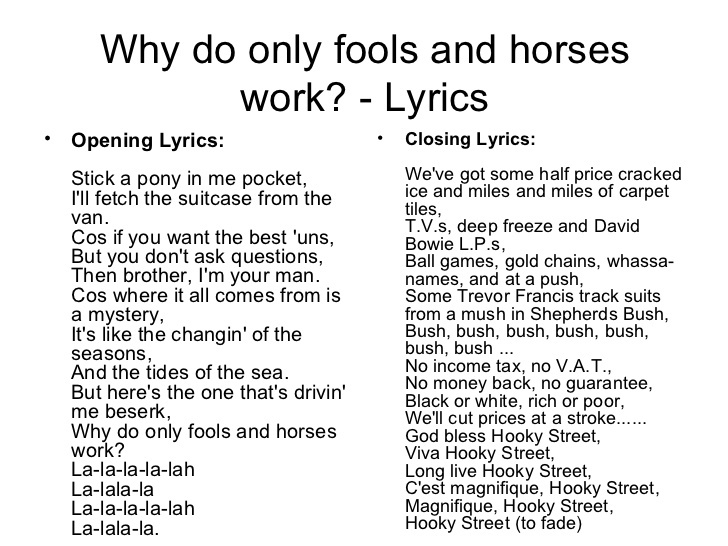 Looking for the lyrics to Why Do Only Fools And Horses Work? Here is the classic version, and a version broadcast for a special. To earn a few bob for a day trip down to Margate. We’re off to see the sea. 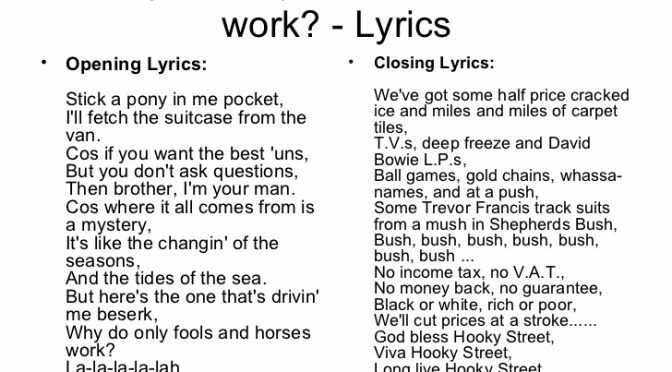 Don’t forget your buckets and spades and cossies and all. We’ll have a pill of jellied eels at the cockle stall. We’ll go on the pier and we’ll have a beer at the side of the sea. Have a day down Margate with all me family. Have a day down Margate with all my family.